Here you go, the cast of Star Wars Episode VII. 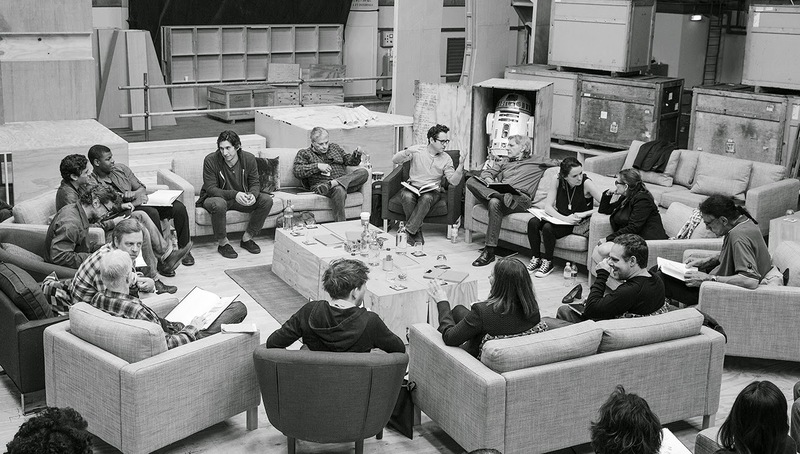 J.J Abrams (top center right) at the cast read-through of Star Wars Episode VII at Pinewood Studios with (clockwise from right) Harrison Ford, Daisy Ridley, Carrie Fisher, Peter Mayhew, Producer Bryan Burk, Lucasfilm President and Producer Kathleen Kennedy, Domhnall Gleeson, Anthony Daniels, Mark Hamill, Andy Serkis, Oscar Isaac, John Boyega, Adam Driver and Writer Lawrence Kasdan. It's hard to stay skeptical these days.